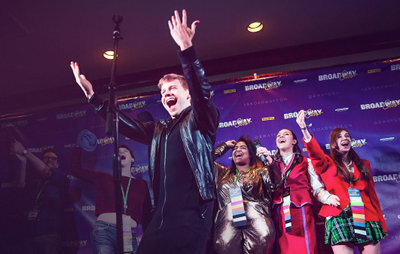 If you weren’t able to travel to BroadwayCon in NYC, here’s what you missed. The conference at the Jacob Javits Center attracted several thousand Broadway fans of all ages, from all parts of the world. Enjoy TheaterMania’s condensed version of the 45-minute opening number. Or, if you just really love Broadway and want to be immersed in all aspects of the Broadway experience for an entire weekend. The second year of BroadwayCon is coming up in less than three weeks. Plan a weekend in New York City around this dazzling fan convention and you’ll be the first to know everything about the 2017 Broadway season (and some good information about Broadway in general). 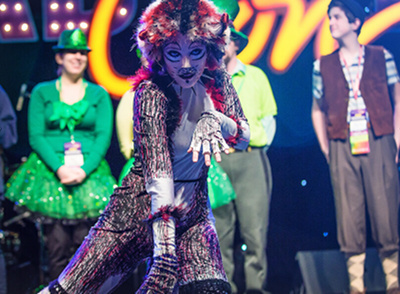 With workshops about sound design, improv and casting, for starters; cosplay; photobooth sessions with Broadway stars; singalongs to Broadway standards; panels about all kinds of Broadway topics; and, of course, performances, BroadwayCon 2017 is a dream convention for lovers of the Great White Way. The conference is scheduled from Friday, January 27 through Sunday January 29 at the Jacob Javits Center in New York City. You can attend all three days or any one/two of the days during the weekend. Starting at 9am on Friday, BroadwayCon winds up Sunday night at 7pm. Hotel accommodations are available at a special rate at the Marriott Marquis. More information is available on the BroadwayCon2017 website at http://www.broadwaycon.com/. Download the app so you can customize your schedule for each day.